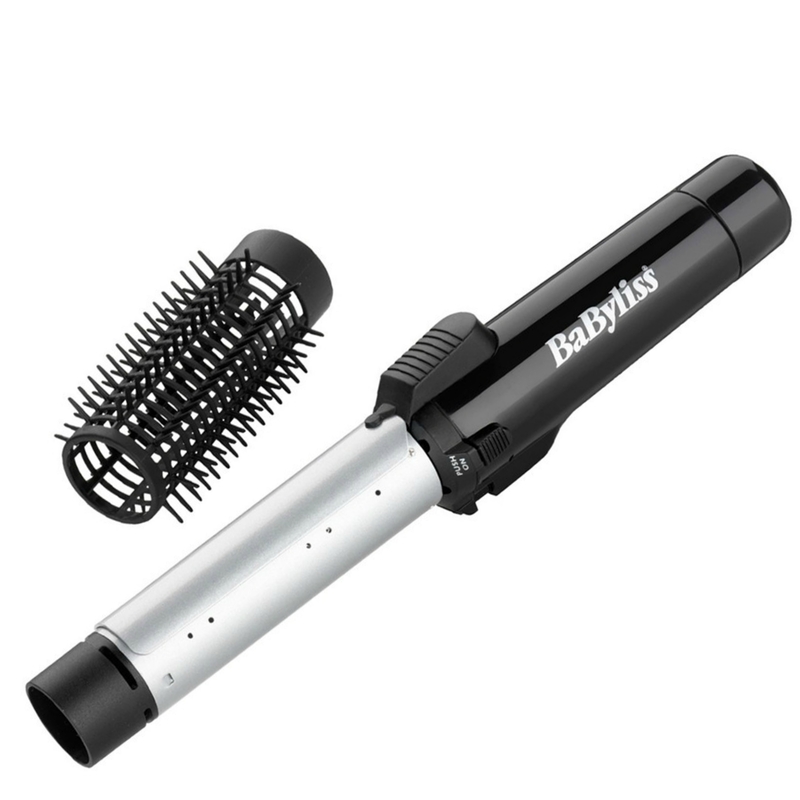 Babyliss Pro Cordless 28mm Ceramic Gas Curling Tong and Brush is a high-temperature, 28mm barrel, cordless ceramic coated tong, ideal for curling, shaping and adding volume to styles whether you are at home or away. It also comes complete with a brush sleeve making it ideal for adding volume at the root. 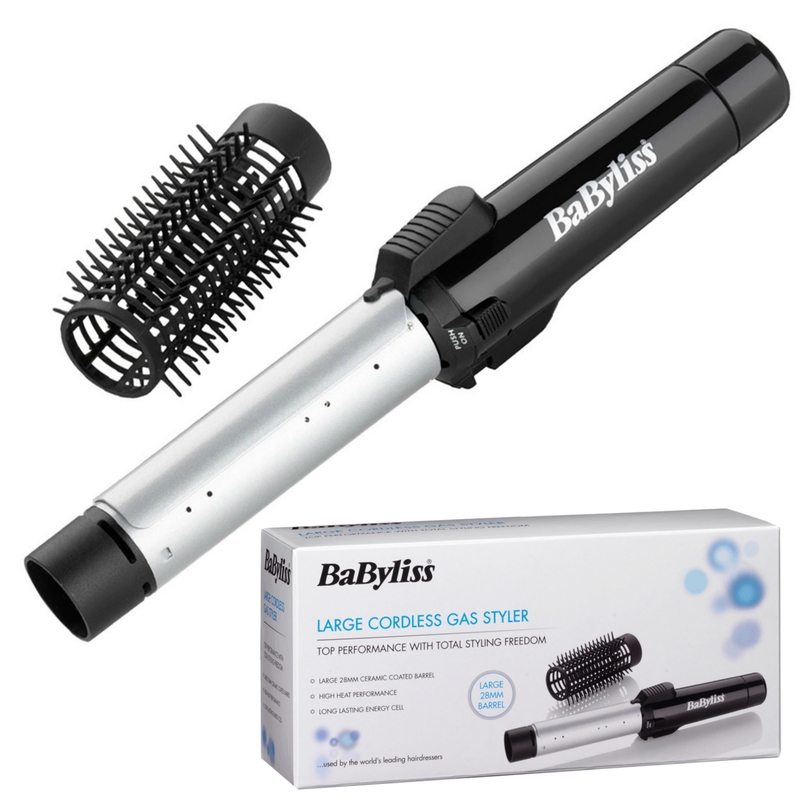 Features: 28mm ceramic coated barrel for smooth, shiny curls. 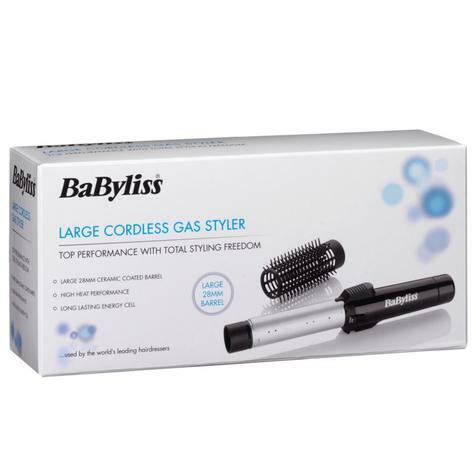 High heat performance and includes gas cartridge. Lightweight and compact, ideal for travel and leisure. 1 attachment. Ceramic coating to add shine and protect hair from heat damage. 1 temperature setting. Maximum temperature 200C. Stay cool tip for safer use. Curl release button to prevent tangling. 19mm ceramic barrel.